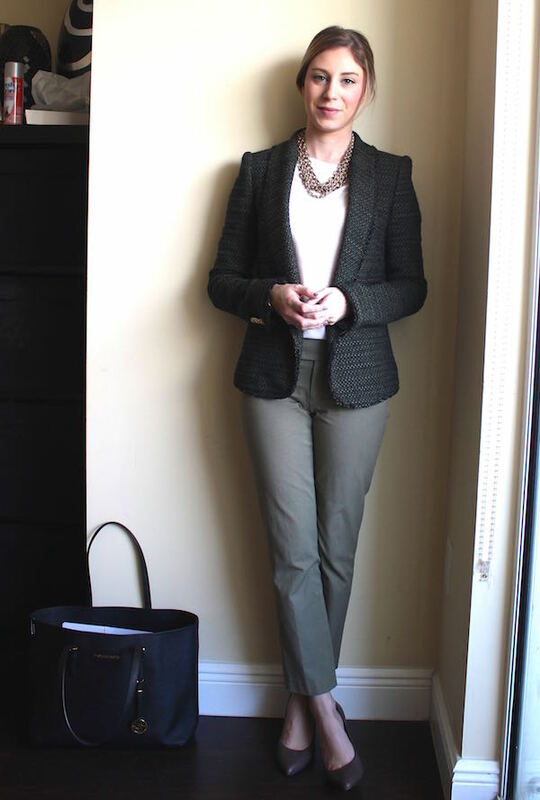 I pretty much never wear pants anymore, but the other day I remembered these pants from Banana Republic were sitting at the back of my closet and I pulled them out for a Thursday in court. No trial, so I wasn't worried about matching my suit separates, but I still had to look professional. I really liked the end result with my new-ish Zara jacket paired with my older pants. Linking up with Tara! THANK YOU THANK YOU, for this blog! I am also a 20 something taking the bar in Michigan in February 2016 and very petite-- 4'9" this is a god send! I am a lawyer too and am glad to see that I am not the only fan of Forever 21 necklaces!